So I love the idea of telemetry - and make it full range please. I have no club and no friends so I can start the club off with whatever radio I want, but they keep coming out with new ones so fast! I LOVE the thought of having a spektrum DX9, until I try and purchase rx's and then have to get additional telemetry modules as well. Those prices are BS!!!! I don't mind paying a premium for the tx but rx's should be cheaper. That being said, I am looking to the other "budget" radios. The FrSky Taranis (which is sort of unavailable) or the Turnigy 9XR. Second thing, while I really like the idea of telemetry built right into the tx, the 9XR does not have this. Is this something that can be added via software/firmware in the future, or does it require hardware in the TX. I am also interested in a separate telemetry system so I can swap it from model to model and into my boats where heat is the ultimate destroyer. I would LOVE to have like 3 or 4 temperature sensors for those. I just seem to keep going in circles. I also don't need a radio right now, I don't mind waiting for the right one. The 9xr you linked comes with no transmitter module, so you will need to buy one. The good news is that you can get an frsky module that has telemetry. The Taranis comes with a built-in transmitter, but also accepts other transmitter modules. Telemetry is part of the module. So you have to buy receivers to match. 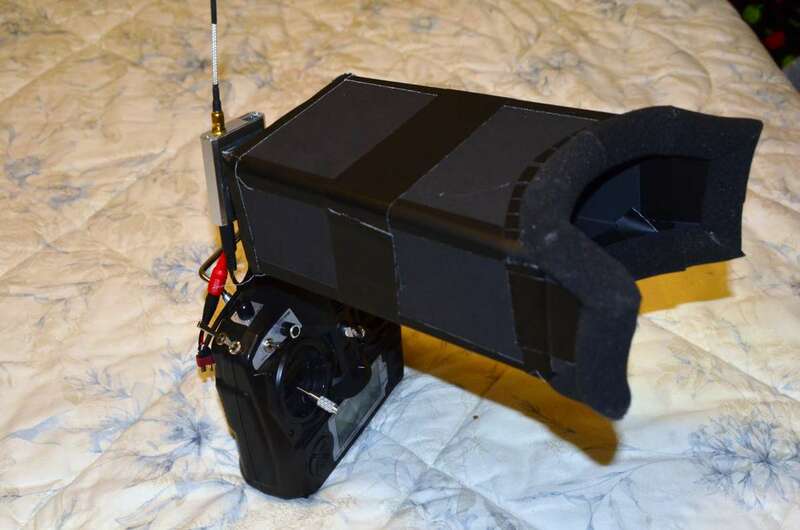 You couldn't use frsky receivers with telemetry with the DX9. You would have to buy spectrum receivers. The nice thing about a controller that accepts modules is that you can use different radio systems. For example, I have modules for Flysky and Frsky (two different technologies). So I can use $6 three-channel receivers on my lower end swappables, and switch modules to use telemetry capable receivers. And still be a lot cheaper than a DX9 setup. Same setup I started with. I've got a Taranis now too. A DX9 will only work with Spektrum compatable gear and that's BIG $$$$$$$. 9X, 9XR or Taranis FrSky 8 ch telemetry receivers from Aloft are in the 20's not the 120's like a Spektrum. If it wasn't for the orange 6 dollar rx's I wouldn't have a Spektrum TX, but I do like it, I like it alot. Enough that I'm thinking of buying the orange spektrum module and putting it in my Taranis. With the Taranis you configure the model memory for what it's using for Transmitting. Internal, internal with telemetry, 16 channel internal telemetry or external module. No swapping switches when changing modules, it's all logical switches. Ah heck man, the Taranis is just the bees knees. You DO have to program it, but as the latest video from Scott Page shows, just program a standard model and save it on your computer. Then put that module into memory and change what you need. Most of my models are the same identical setup. My Ultra Spad Stick is the same as my SPAD Das PlaStick. However, the flaps are Flaperons on the DPS and the Throttle on the USS is a Gasser, so I've programed the throttle curve to be somewhat linear. It is WEIRD flying a gasser that used to go full throttle a little over half stick and would be idle somewhere under and then have it take 1/4 stick on landings and have more power left over after 3/4ths stick, It'll spoil ya I tell ya. But I could basically fly most of my planes with the same memory. I've rambled. One thing to remember about telemetry, if you aren't setting alarms to tell you levels without looking down at your transmitter, you'll have to look down at your TX or screen to read whether you're just about out of range, or what speed your flying at, your battery voltage. None of these things are ideal while your flying.